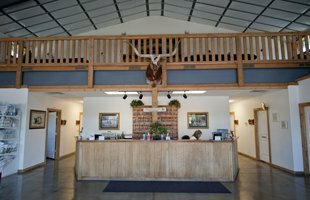 From Large Animals to Small, Mountain River Veterinary Hospital Provides the Highest Quality Care with State-Of-The-Art Technology to Ensure Your Animals Overall Health. Pet Emergency? Call us right away at (208) 745-5003! 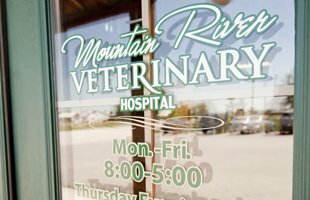 We have three very seasoned veterinarians who have been in practice for 28 years and during that time they have developed skills that make them unique in the types of services that we offer here at Mountain River Veterinary Hospital. Our newest small animal service offered is laparoscopic spays on dogs which has allowed clients to get their dogs spayed with 70-80% less pain post surgery. In addition for our cattle clients we have added Artificial Insemination and have on staff, a certified AI manager and 3 certified AI techs. Our doctors do an awesome job with after care in helping to make sure clients can be as active as possible. 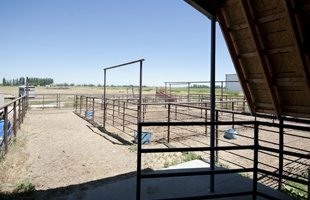 We also practice equine reproduction work which includes housing mares, collecting stallions, artificially inseminating mares, foaling mares, and ultrasounding for pregnancies. Recently, we have opened a boarding portion to our clinic and have kennels available to accommodate even the largest of dog breeds. Dogs get let out into a huge outdoor run multiple times daily and during the warm months of the year also have their own person out door run attached to the inside kennel. 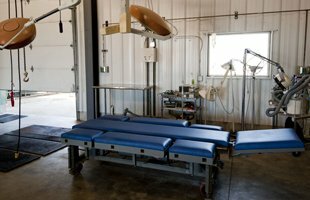 At Mountain River Vet we are happy to offer a number of resources that enable you to learn about how to better care for your pets. Please feel free to browse our site, particularly the informational articles. The best veterinary care for animals is ongoing nutrition and problem prevention, so becoming knowledgeable about preventative pet care is essential to the ongoing success of your animal’s health. If you have any questions, call (208) 745-5003 or contact us and we'll promptly get back to you. Our Rigby veterinarian office is very easy to get to - just check out the map below! We also welcome you to subscribe to our newsletter, which is created especially for Rigby pet owners. No matter what time of day it is when your pet gets sick, we are available 24 hours a day for all emergencies. Utilizing the latest advances in veterinary medicine, we can help diagnose your pet better with our digital x-rays. Keep your pets healthy for years to come with regular check ups and vaccinations to prevent illnesses. "I recently had to make the heart renching decision to let my pup go. The team here were wonderful. So kind, caring and understanding of my grief. They cared enough to send a sympathy card that they had all signed. Thank you from the bottom of my heart!" "I made a last minute appointment to have 3 male goats castrated. Not many vets work on goats. They were able to get me in the same day. It was a long appointment as they were super busy with a few emergencies as well as regular appointments, but we got it done. So glad they are here!" 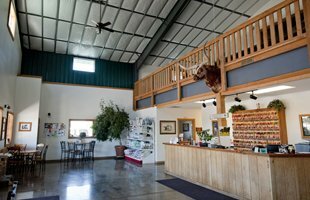 It's wonderful to have a vet in Salmon Idaho, that is so versatile in large animals from equine to swine"